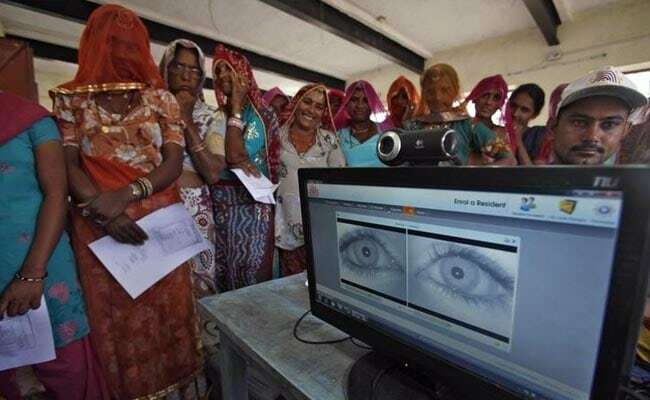 The hearing on the right to privacy began yesterday as a group of petitioners brought the case to protest against the government's Aadhaar programme, which has recorded the fingerprints and iris scans of more than a billion citizens. Petitioners say using personal data like fingerprints by the state violates citizens' privacy. While hearing a challenge to the government's massive biometric or "Aadhaar" database, the Supreme Court today said that companies like Apple already have access to the personal data of users. "When one can share personal data with private players like Apple, why not share it with the government? What's the difference?" asked Justice DY Chandrachud, one of nine judges determining if citizens' privacy is a constitutional right. "99% of the people are unconcerned and not aware of the purpose for which data is collected," he said. As examples, the judge said iPhones and iPads are accessed by users' thumbprints and if an individual books a train ticket, emails or ads pop up offering alternative flights for the same travel. He said this proves that citizens are already disclosing vast amounts of information online about their private habits and personal lives. "I have a contract with private parties - if they breach it, I can sue them. But there is no contract with the government," argued Sajan Poovayya, the lawyer for the petitioners. They argue that although the right to privacy is not explicitly set out in India's constitution, it nevertheless guarantees it implicitly. Yesterday, the court observed that the right to privacy is not absolute, and said the legislature cannot be stopped from "imposing reasonable restrictions." "Our constitution gives us liberty to live life," Gopal Subramanium, a senior lawyer for the petitioners, argued before the court yesterday. "Liberty existed even before the constitution was drafted and it includes privacy," he added. "There cannot be a question of diminution but expansion of a right. Right to liberty includes freedom from encroachment on his or her privacy." Prime Minister Narendra Modi's government has rejected suggestions that the Aadhaar programme, which was set up in 2009 and provides each citizen with a unique 12-digit ID, poses a threat to civil liberties. The Aadhaar ID has become compulsory for a growing number of services, such as the opening of bank accounts, the payment of taxes and any payment of public money. Its critics say that its use for what are effectively essential services means that Indians' right to privacy is being increasingly violated. "If you have the same number in every single database, travel, phone, banking, then anyone sitting in the Home Ministry or intelligence bureaux will be able to pull out information on me," argued Reetika Khera, an economics professor at IIT in Delhi. The case will next be heard on Tuesday.